Have you been bogged down by ascension symptoms? Do you have low energy, lack motivation and focus? If so you’re not alone and perhaps my story can help you. 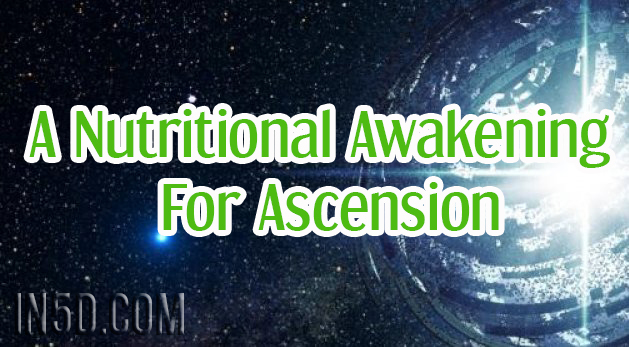 Little did I know my nutritional “awakening” in 2011 was preparing me for ascension (aka The Shift). I had been feeling tired, un-motivated, and irritable for quite some time. I had a passion for lifting weights, but I wasn’t getting the results I wanted. My energy level was always low and it was tough to get out of bed in the morning. Why am I always tried? Finally, it dawned on me that my nutrition and overall health could be the issue. I hired a nutritionist and met with her for a handful of sessions. It was incredible to realize how poor my diet was and how deficient I was in vitamins and minerals. For example, listening to the main stream media I thought all carbs were bad and made us fat. Here I was lifting weights and using up energy but not re-fueling myself with “good” carbs before or after a hard workout. I was consuming lots of protein, but I was burning through it as an energy source and not putting on muscle or recovering. My nutritionist Judy educated me on a balanced diet and introduced me to supplements for the first time. I was briefed on Vitamin B12 , Barley Grass Pills , Probiotics , Chia Seeds , and important minerals like Zinc and Magnesium . I took her advice and started taking 6 tiny barley grass pills each morning on an empty stomach. Immediately my digestion improved, my skin started glowing, and my hair and nails looked vibrant. Best of all I felt more energized and my focus/concentration improved. I was amazed and determined to find out why these little green pills made such a difference in my life. This was the catalyst for my “nutritional” awaking. I spent the next two years reading Nutrition text books, guides on vitamins and minerals, Wheat Grass books , bodybuilding articles, and journals from The Hippocrates Institute. I was determined to understand why certain supplements worked and achieve my optimum health. Through fitness and nutrition my body completely changed. I looked younger, healthier, vibrant, and had more confidence. I went from 150 lbs. to 167 lbs. of lean muscle and dropped considerable body fat in a few short years. Feeling healthy now, my next awakening hit me hard in 2013 and was SPIRITUAL in nature. I was wide awake and determined to understand how the universe worked and what ascension was! I tackled spiritual and ascension topics much like I tackled nutrition in the past. I devoured everything I could get my hands on such as Edgar Cayce, David Wilcock, The Law of One, Gregg Braden, and even read The Bible cover to cover. I sought out a variety of people to assist me on this quest for knowledge. I worked with an ascension mentor, clairvoyants, and an extremely talented Reiki Master/psychic/teacher. Eventually this new knowledge led me to become an energy practitioner. I also developed a strong meditation practice and learned the art of grounding. These new interests enhanced my spirituality and opened me up big time to sensing and feeling energy. It started with vibrations in my hands and feet when meditating. Next, I had ringing in the ears, crown tingles, heightened sense of smell, increased intuition, and colors seemed more vivid. I would awake in the morning with an entire body buzz and felt like I was taking off. Mid-day I would be at work and feel a blast of energy coming and it would pulse my body. It was so exciting to be reading energy reports and be feeling the exact type of energy that was coming in. I would read about Gamma Rays that were shooting in and know they were the reason I was wide awake at 2 am. Finally, I am seeing and feeling it! Ascension isn’t all fun and games. We tend to get these things called “ascension symptoms” which can make life a struggle. Some common symptoms are, digestive imbalances, flu like symptoms, skin issues, chest pains, hot flashes, rapid mood changes, etc. Over the past year I read many Facebook posts where people were bed ridden for days and hit hard by the shift. Overall, I have had a joyous ascension experience. I can honestly say, my “bad” ascension symptoms have been minimal at best. Sure, I have had many days where I was sleeping much earlier than normal, or skipping the gym to zone out and rest. I also recall a period where we had a stream of Gamma Rays come in and couldn’t sleep until 2 am a few days in a row. I just smiled and read a book knowing exactly the reason I was still awake. Of course, meditation, inner work, and rest are important to staying grounded. But I truly feel that living a healthy, fitness based lifestyle has been a key part of my journey. We can be as spiritual as we want, but if our vessel is not running optimally ascension will wreak havoc on it. I’m not saying health/fitness/nutrition is the only key to a smooth shift, but it can certainly help us all. About the author: Ryan Hill is a Reiki Practitioner, Fitness enthusiast and Software Account Manager based in Chicago.